Jordyn Williams graduated in 2016 and has been playing volleyball for 11 years. She began playing for Force when she was just nine years old and has been in love with the sport ever since. 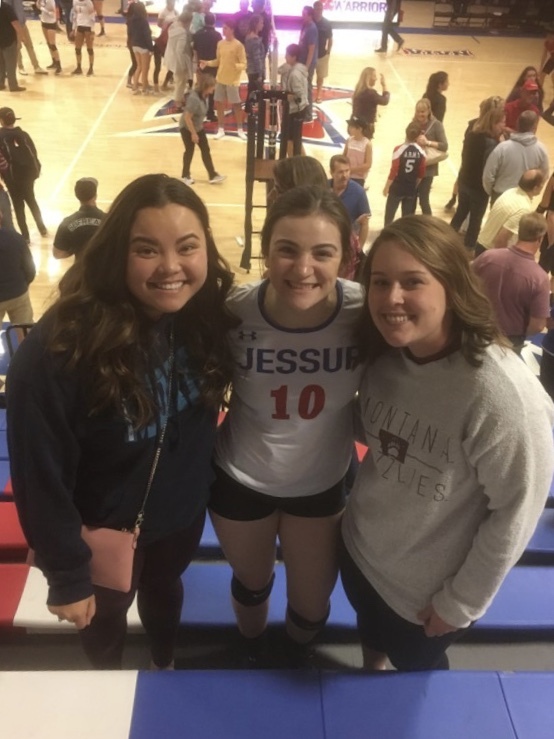 Jordyn decided to play volleyball improve her skills and since both of her parents coach volleyball, the sport has always been a family activity for the Williams. Jordyn says that playing for Force taught her “the importance of hard work and perseverance” as well as dealing with adversity, being a good leader and the power of higher standards. Though Jordyn has been playing for UC Davis' club team, she says that she misses her teammates and coaches from Force the most. Jordyn advises young players that “even if you may not be exactly what colleges are looking for… that doesn’t mean you can’t play in college” and the passion, intensity and leadership skills you learn from playing will get you far in life as well as in volleyball. Kaitlyn Foster started playing club volleyball with FPVC when she was 9 years old and now she plays for San Diego State University’s club team. She says that “volleyball was one of the most important parts” of her life when she was growing up and she “created some of the best relationships with” her teammates and coaches. Kaitlyn attributes much of her confidence to playing volleyball and also says that she learned the importance of time management, cooperation and teamwork from playing. Her advice to younger players is to follow your instincts, do not let anyone tell you that you are not good enough, and if you want something, go for it! 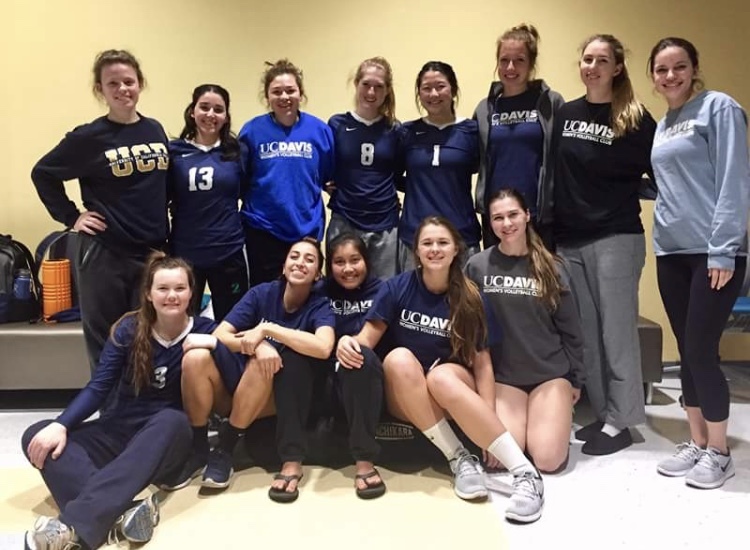 Leanne Newell plays at UC Riverside but started playing club at FPVC when she was 12 years old after her aunt encouraged her to start going to the club’s clinics. She says she “fell in love with it immediately.” Leanne says playing club taught her how to be a leader, speak up, and trust her own abilities. She credits volleyball for teaching her how to speak up for what she believes in. Leanne also said that her role as a team captain pushed her out of her comfort zone and has paid of for her in her collegiate volleyball career immensely. She says that she misses the friends that she played with most and enjoyed being able to meet, play with and against people from all over the area. Her advice for younger players would be to do not be afraid to put yourself out there and do something you are not completely comfortable with, give it your all at practice and play every game like it could be your last. Jazmine Williams played at San Francisco State after graduating high and after playing for Force. She says that she always knew she wanted to play in college and club was the best opportunity for her to advance her skills and gave her the best opportunity to reach her goal, play with and against some of the best athletes in the area all year long She explains that playing club taught her how to “be a leader,” how to work with others become a good team member and how to be supportive. She also says that playing club taught her skills that make “you very successful in a work environment.” Most importantly, she says that club volleyball taught her perseverance and how to “thrive during adversity.” She says she misses the family environment most explaining that coaches become like second parents, the girls become like sisters, and that feeling is “irreplaceable.” “I had the time of my life paying with the force organization because they became my family.” She advises younger athletes not to not grow up top fast, “enjoy club one moment at a time” and push through any and all hard times because you can get through anything!